So the egg shells did not work. 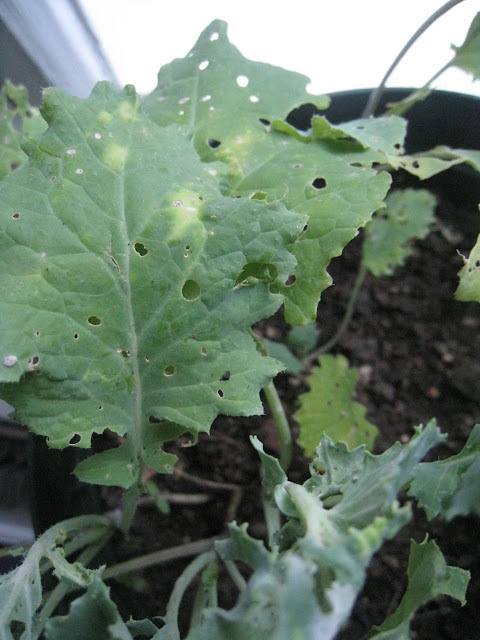 I moved the strongest pot of kale inside in the hopes that whatever was munching through the leaves was an occasional visitor that would no longer be able to eat a free lunch with the plants inside. Well, sadly I was wrong. Seems the lunchers have actually taken up residence on the underside of the leaves. Most of the bugs are a slivery, white color, but this guy had spots. I washed all of the bugs off when I discovered them, but alas, they seem to have come back in even great numbers! 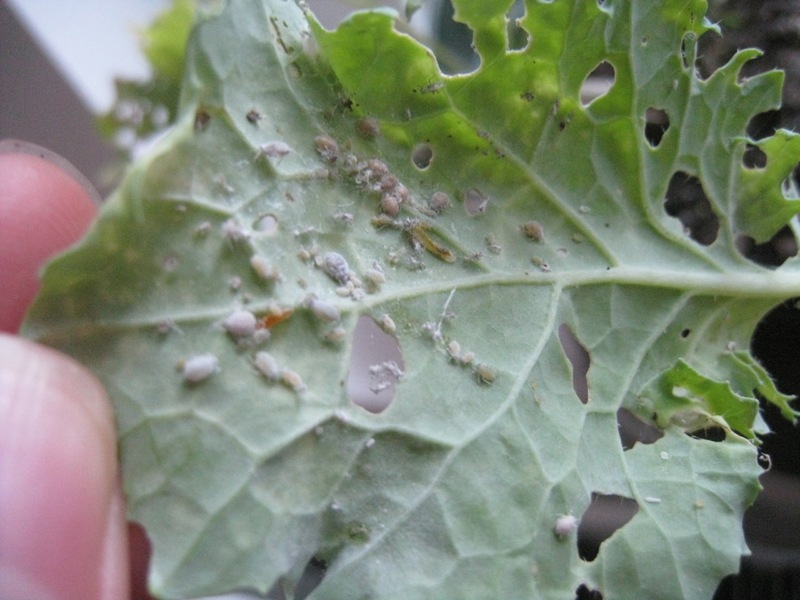 After a bit of internet research, it appears these are aphids. This article suggests sprtizing the leaves with a water/soap (like Dr. Bronner’s) solution. That will be the next thing to try! 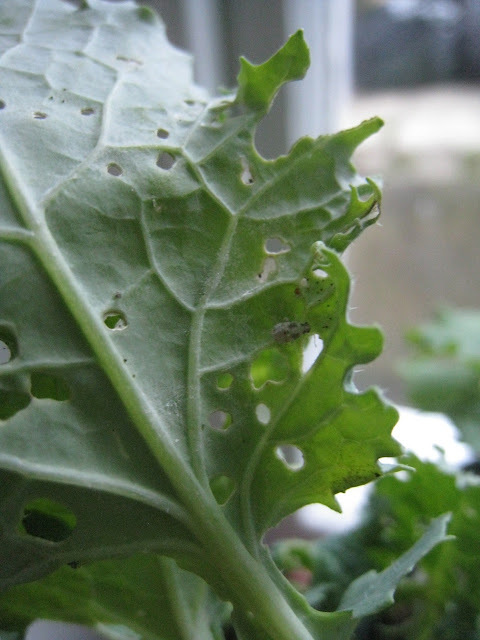 This entry was posted in Garden and tagged aphids, gardening, holes, snails. Bookmark the permalink.